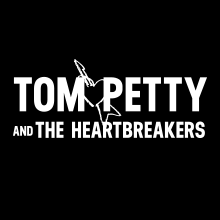 It’s 1:22 a.m., and the last lighting, video and sound cases are getting loaded up and pushed off the stage at the Hollywood Bowl, where Tom Petty & the Heartbreakers played three incredible sold-out, hometown shows to close out the band’s 40th Anniversary tour. Fifty-three shows. Twenty-four states. Twelve lighting crew. Eleven truck drivers. Nine in Production. Seven sound guys. Six backline crew. Six months. Five opening acts. Three countries. Three riggers. One legendary band and over one million legendary fans. Thank you to all!